I am not a planner, more kind of a go with the flow person. But I love to travel, and stretch my hard earned cash further when I do. Which is why I always try to plan ahead for a holiday. 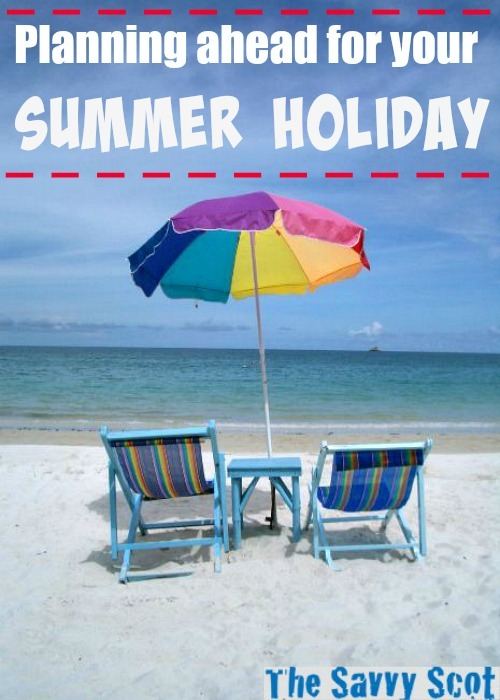 For summer holidays, there is peak season, which is from June to September, and super high peak which would be July and August, when all the kids are off school. Worst time ever to plan a cheap holiday. So if you are not stuck with those dates, around mid September you will have the beaches to yourself, and accommodations at a fraction of the price. It gets a little bit depressing in resort towns if you really go at the end of the season, like we went to Algarve in the South of Portugal at the beginning of October and the shops were closing until next April, even though it was a superb 25 degrees outside. Our suite in a beautiful aparthotel cost under £20, less than a fifth of its August price. If I had kids I would probably have them ditch school a couple of days before the end of term so we could get on a cheap flight. My friend is sending her two kids to ski in the Alps when the school holidays are over, she says the kids are only four to one instructor, instead of over a dozen during the holidays, and the slopes are empty. Sure they miss on class but one week of primary school is not that big of a deal. If you plan on staying at a hotel or a resort, I recommend you join their mailing list for the time you are waiting to book. Probably early in the spring, they already have their summer packages set up. I arranged for my family to come to the UK and visit London and Scotland one summer for around £500 for a family of four plus one small kid. I knew the Eurostar tickets would be available 90 days in advance so I made a calendar date and stayed up until midnight to book. Same for the train from London to Edinburgh, I booked on the day the tickets were released, and with a family Railcard, the five of them paid £35 to go to Scotland! Yes, £8 per person. If you miss the offer, the tickets can go up to four or five time the original price. I also joined the Travelodge email list and was able to book them a £35 family room in the center of London for their first night, and some £29 nights around Scotland. The only risk when booking a holiday such a long time in advance is you may have to cancel it for some reason. Check with your credit card provider as there may be a travel insurance built in with your credit card, or consider paying for travel insurance on each booking so you can cancel if something goes wrong. I often read that the best time to get a plane ticket is 6 to 8 weeks in advance, but that doesn’t really apply to high peak season like summer or Christmas. The earlier you book, the best are your chances to get a cheap ticket. And if there happens to be a sale later on, some sites like Orbitz will offer that if a person books a cheaper flight on your same dates, they will give you back the difference. For flights now I generally use the ITA matrix that allows you to check flights one month in the future for a 7 days date range. For example, look for flights from the 1st of July and it will give you prices for all of July, and your date range is 14-21 nights so it will tell you that 15 nights on the 7th of July is cheaper than 20 nights on the 12th of July. All in ONE CLICK! The only drawback is you can’t book the flight on ITA, you then have to go to another site (I used Kayak) to input the exact same flight details and book it. If you are flexible with the airports, it will also calculate that for you. For example, you want to go from London OR Manchester to New York OR Washington OR Boston. Yes, all of that in one single search. Summer is the most expensive time to go on holiday. So why not simply go on a camping trip (camping is free in Scotland and many other places), have fun fishing, hiking and swimming, and then keep the holiday budget for a bigger off season holiday? Going for some sun in the middle of winter, November or February for example, you could get a £80 flight to Morocco on Easyjetor buy a full package with hotel for under £200. The UK has beautiful summer days and many activities are free or really cheap if you holiday locally. The best thing we do to plan ahead for a holiday is to save money in advance for it. We usually know in January where we are going that summer. So we start putting money aside each month so that when the vacation comes we can pay for it in cash. The best vacations are those you don’t go into debt for. That’s a great tip about playing summer vacation on the low key and plan something bigger in the off season. That will be very helpful to me as we plan our vacations for 2014. I love going in the off-season without kids! My daughter starts kindergarten this year so we’ll soon be stuck with Spring and Fall break and Summer. We are in the middle of trying to plan our honeymoon. I’m hoping that I can get some good deals for the month of June! We are big planners as we save for our trips, especially the big ones. 🙂 We have actually taken the girls out of school for vacations because sometimes you just have to go when it works best for the family. We always made sure the school knew in advance so the girls could complete their schoolwork and slip right back in when they returned to school. My in-laws that we haven’t seen for almost 8 years now are planning to visit us for 2 months. They asked me if I can arrange their trips and make a booking in one resort for their summer vacation. Thankfully, I got a promo flight and they really save a lot compared to regular flights. Of course, the ideal trip depends on the type of traveler and the type of experience you seek. It is a chance to do things we don’t normally get to do and see things we don’t often see. Nice article, just would like to add that if you fly on Monday or Tuesday the flights are cheaper and of course book directly with the flight company not trough agency will charge you the commission same topic with resort and hotels..book directly using facebook and their website. Low season sometime is the best season! Like here in Thailand April is the best time to vistit Phangan or Samui, is quite and you can really enjoy, weather is top.